A joint raid by UK and Dutch police brought down mammoth members-only BitTorrent service OiNK yesterday, and may represent a warning to operators of similar networks. Mandriva, the European Linux powerhouse, has decided to open the club doors to everyone. The numbers are in, and they look pretty good for Apple. Reports show that Apple shipped more than 2.1 million systems, up 34% from 2006, and posted $6 billion plus in revenues. Detailed numbers reveal that computer sales were strong, composing 62% of Apple's revenues, and that laptops are the hot item, covering 62% of computer sales. Turbolinux, a major presence in the Asian Linux market, inked a deal today with Microsoft, to provide the ever-popular “patent assurances” as well as access to Live Search and a planned cross-platform login. The deal apparently centers around a plan to provide single-login functionality for both Windows and Linux, allowing a single user login to transfer between platforms. Microsoft announced that it will no longer fight the European anti-trust regulators, after last month's spanking in the Court of First Instance in Luxembourg. Trolltech, the company behind the Qtopia platform, has given up on the Greenphone, it's Linux mobile phone. David Bialer announced that Trolltech had expended it's existing stock of the Greenphone, originally released in 2006, and would not be ordering new stock. Bialer cited developments in the Linux smartphone market as making the Greenphone obsolete. The rumor-mill is abuzz with reports that Apple has fired 800 employees over fraudulent iPhone rebates. According to tech blog ArsTechina, two independent sources have confirmed that Apple went on a firing binge over employees who submitted claims for the $100 credit offered to early adopters of the iPhone. For those who aren't in the know, Apple employees got their iPhones for free. Yahoo bought Right Media. Microsoft grabbed aQuantive. Now Google wants DoubleClick — but the European Union isn't so sure. Linspire's recently-departed CEO, Kevin Carmony, publicly announced on Wednesday that he is becoming an Ubuntu user. Ubuntu 7.10, better known as “Gutsy Gibbon” arrived with a fanfare today, sporting a host of shiny new features. Ubuntu, which claims 30% of the Linux desktop market, now boasts Compiz by default, the ability to write to Windows NTFS drives, built-in dual-monitor support, an easier method for installing Firefox plugins, and and quite a bit more. In a move drawn straight from a geek's worst nightmare, Microsoft has been formally inducted into the Open Source community. The Open Source Initiative, the body tasked with safeguarding the Open Source community, initiated the Empire with the formal acceptance of Microsoft's two “Shared Source” licenses, the Microsoft Public License and the Microsoft Reciprocal License. It's that time again: The Linux Foundation has opened the doors to the Third Annual Desktop Linux Survey! 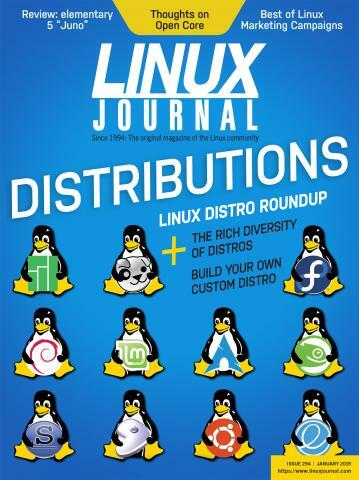 Each year, the foundation conducts a survey of Linux users to determine the community's needs and how best to respond to them. The results of the survey help drive the following year's development, and offer opportunities to stimulate the adoption of Linux. More than a month after Microsoft's failed attempt to rig the ISO's OOXML adoption ballot, the aftershocks are still being felt. This time, it's the fallout from all the last minute ballot stuffers. According to founder Michael Dell, Linux is outselling Windows in the server marketplace at Dell. Speaking at a conference in Florida, Dell cited Linux's faster growth and adoption for critical applications as reasons for the growth spike. He went on to say that Microsoft's anti-Linux rhetoric and the recently filed patent suits don't seem to be scaring off potential customers. Senior developers for OpenOffice are saying that a fork of the software isn't in the works, though bitter battles between the Sun and Novell elements of the development team continue. Well, it finally happened. Somebody has decided to test the waters on the Linux “patent infringement” claims. And the cast of characters comes as no surprise. From Google to Facebook, Steve Ballmer - CEO of Microsoft and all around arch-villan - went off on just about everybody on Saturday. Version 2.6.23 of the Linux kernel was released today with a mailing list post from supreme developer Linus Torvalds. The release was delayed, but the message claimed it was “not because of any huge issues.” Torvalds, often quick to share his thoughts, was quiet on the latest attacks launched by Microsoft, and on whether the Linux kernel would be released under GPLv3. Linux users rejoice! Our moment has finally come -- somewhat. According to statistics released by Net Applications, Linux use on the desktop has doubled in the past year. According to eBay's security chief, Linux – not Windows – is the preferred OS for spammers and phishers.